The objective of FAMOUS project was to achieve essential steps towards future work site automation without compromising safety and efficiency requirements. The main research domains were operator assistance systems, adaptive safety functions and new safety concepts in complex multi-machine environment. 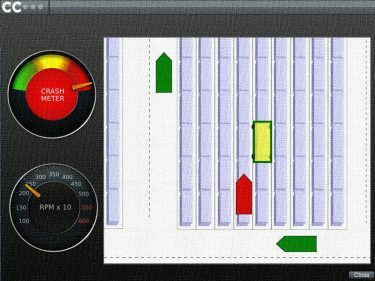 FAMOUS developed a proof-of-concept system for real-time and predictive situational awareness information between machines. Project demonstrated the readiness of new technologies such as UWB (ultra-wideband) positioning and M2M communication using 802.11p protocol. The full scale system test was carried out at harbor area using straddle carriers. UWB distance measurement was also tested to accomplish a real time location system at indoor and outdoor applications. FAMOUS produced also new sensor fusion systems and algorithms to enable automation features in machine operation. 3D camera vision was studied to assist teleoperation and obstacle detection. One remarkable result of FAMOUS is the new concept of ”adaptive” safety which combines situational awareness information and dynamic risk assessment. It changes the safety paradigm from ”risk based” into ”risk informed” decision making. Beside that project developed simulation tools to study the impacts of adaptive safety functions and process models for agile virtual design of demanding safety features. Industry driven association developing intelligence and automation for heavy mobile work machines.